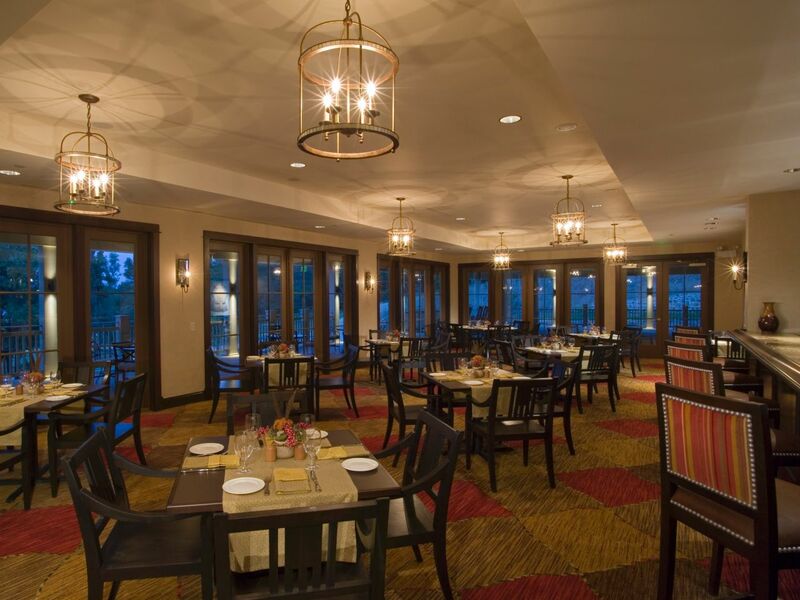 Discover eight different dining experiences right at our resort—eateries, lounges, bars, and even an old-fashioned general store. Find them in our main building, poolside, and overlooking the golf course. 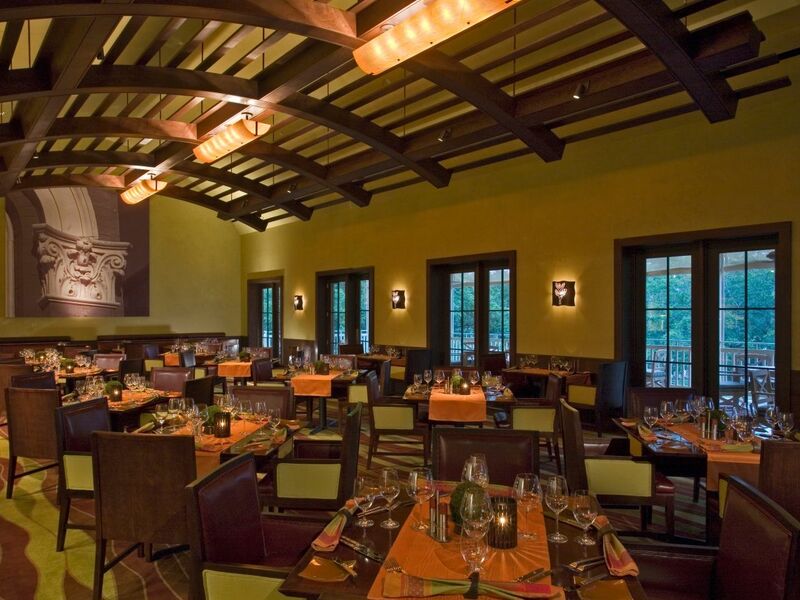 Start your Lost Pines dining experience at Stories, our signature steak house serving farm-to-table dishes amid a rustic setting—think wood-beamed ceilings and warm earth tones. Enter through Kesselus Hall, named for local author Ken Kesselus. The foyer’s floor-to-ceiling bookshelves house works by Texas authors, for which Stories is named. 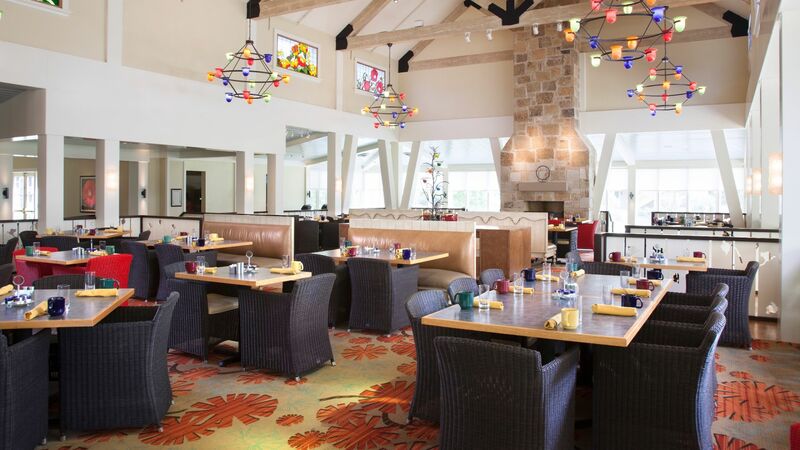 Settle in at Firewheel Cafe—named after a Texas wildflower—a bright and airy restaurant illuminated by stained-glass windows and handmade chandeliers. Southern-inspired dishes flood the menu, along with eclectic twists on classic dishes. Visit Firewheel Cafe for breakfast or dinner. Please contact us for weekly availability. 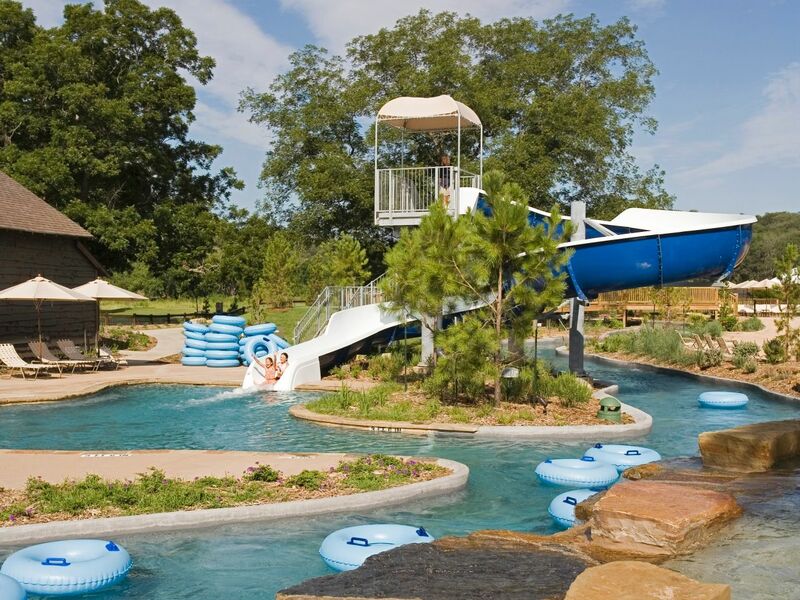 First, spend your morning floating down the 1,000-foot-long lazy river at Crooked River Water Park. Next, head to Old Buck's Place next door for light bites and drinks, enjoyed at the bar or seats in the shade. Prefer to stay in your lounge chair? Old Buck's wait staff can serve you there as you relax. Sip a Texas microbrew and feast on pub food at Shellers Barrelhouse Bar. The drink menu showcases eclectic options, like the moonshine margarita, with moonshine distilled in nearby Smithville. Shellers is also the place to play round after round of pool or enjoy Shiner Bock queso on the patio. 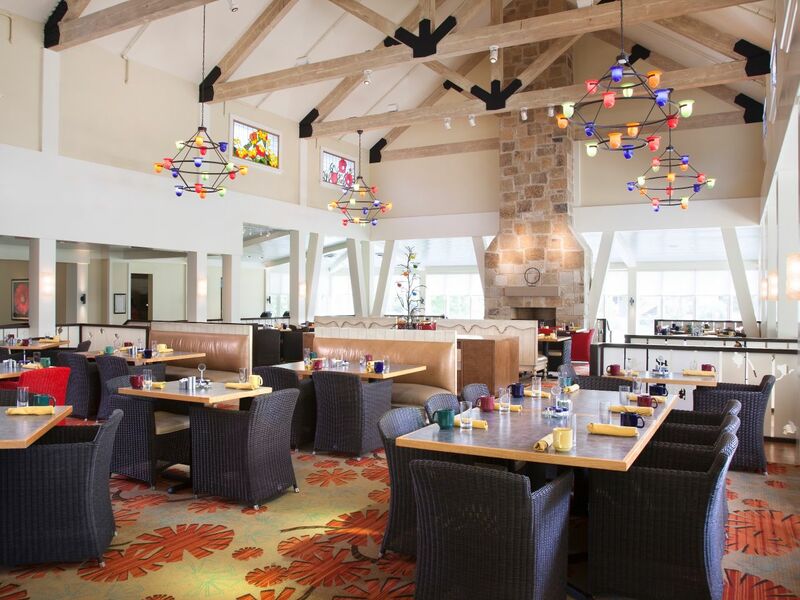 Monday – Sunday: 11 a.m. – 5 p.m.
Saturday: 5 p.m. – 1 a.m.
After you’ve played a round of golf on our 18-hole course, dine at Major Neighbors Grill. This spot serves lunch and drinks in an inviting ambience. 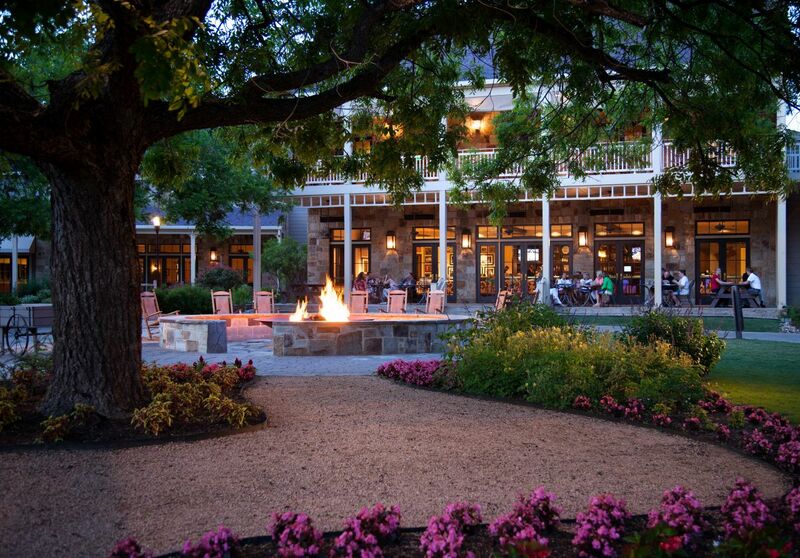 When the weather’s nice, dine on the porch and soak in stunning views of the resort grounds. 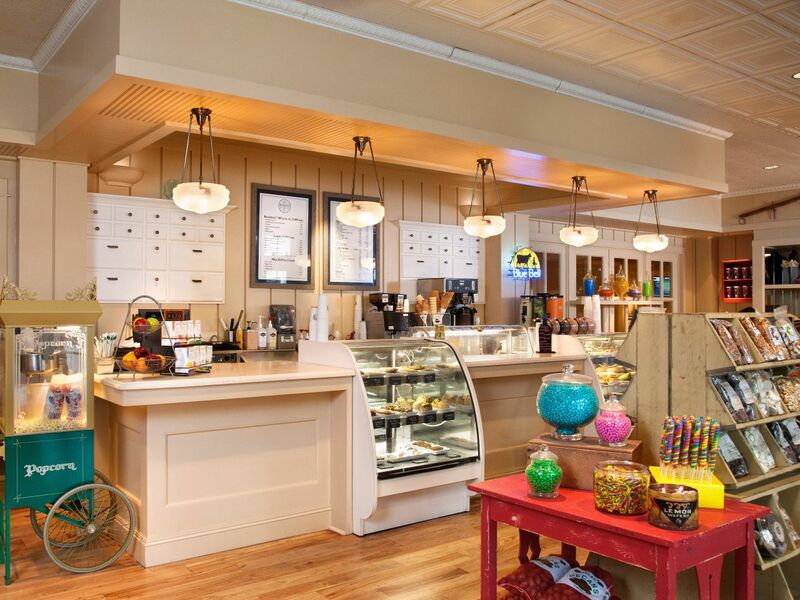 Step back in time at our old-fashioned general store, McDade’s Emporium and Ice Cream Saloon. An homage to the historic Bastrop County city of McDade, the emporium offers candy by the pound, Blue Bell ice cream, and eclectic souvenirs. Additionally, sip fresh-brewed Starbucks® coffee, and purchase grab-and-go snacks. Sunday – Thursday, 6 a.m. – 9 p.m.
Friday and Saturday, 6 a.m. – 10 p.m.
Daily 6 a.m. – 9 p.m. While you’re playing near the front nine on Wolfdancer Golf Course, swing by Tiny’s Range House. Order a quick bite or grab-and-go snack, and pick up items including beer, wine, liquor, cigars, and golf necessities such as sunscreen and golf balls. Full beverage service is also available from carts around the course. 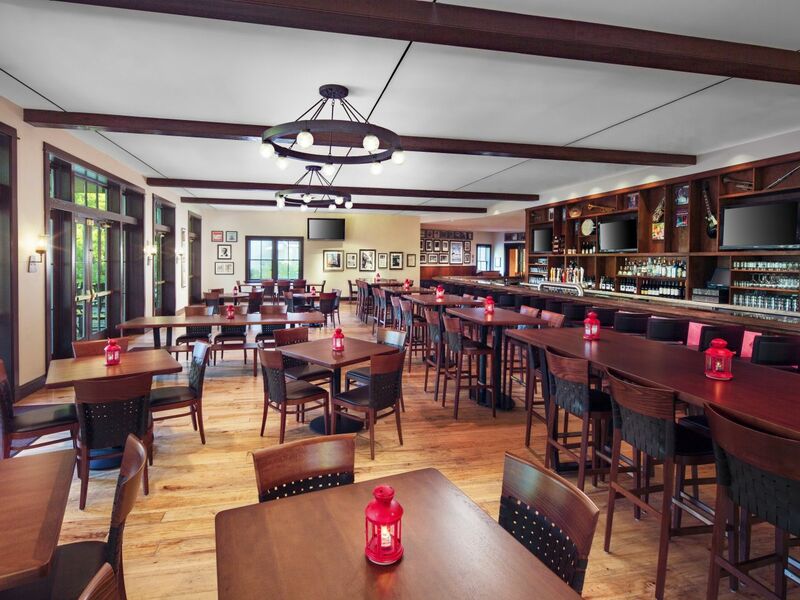 Scribes Club is the perfect place to read, order food and drink, or socialize with family and friends. 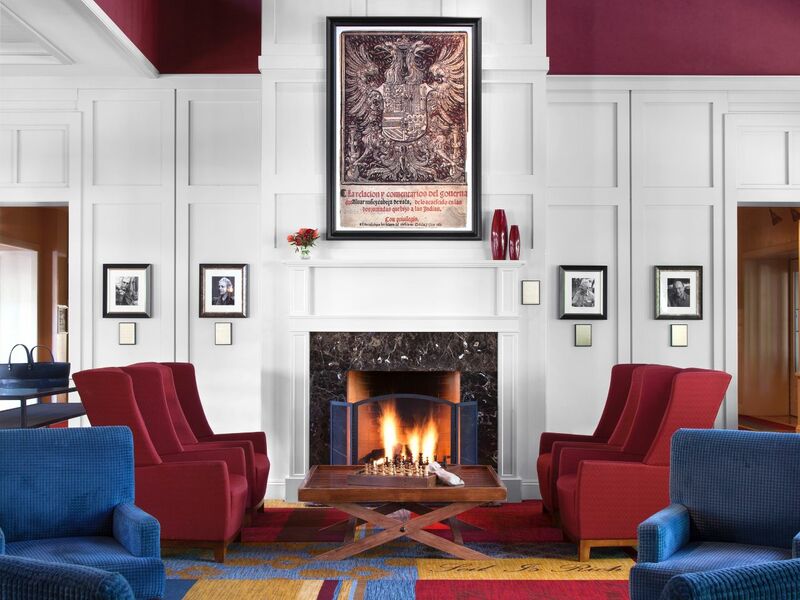 Our cozy, library-style lounge has overstuffed leather sofas and wingback chairs, so you can sit back and relax while you read from our stacks of books.